Carol Connelly Walsh, 79, of Frederick MD passed away on November 25, 2017. Carol was preceded in death by her husband, Robert and sons, Jon and Michael. She is survived by her daughters and sons-in-law Cathy, Mark, Anne, David, Sarah, James, Sherry and Steve and grandchildren David, Jonathan, Alexander, Hailey, Ainslie, Sophia, Alyssa and James. The eldest of five Connelly kids, Carol’s Irish heritage was one of her defining personality traits. Her trip to Ireland with family and friends reinforced her affinity for all things Irish. An Irish Pub was always fun. Saint Patrick’s day a well celebrated holiday. Born in Shorewood, Carol was always a proud daughter of Wisconsin. She loved her dairy (especially butter) and her Packers. During her last visit to Milwaukee she celebrated with her Shorewood High School Classmates. After graduating Shorewood, Carol attended Marquette University and was awarded a Bachelor of Science in Nursing. 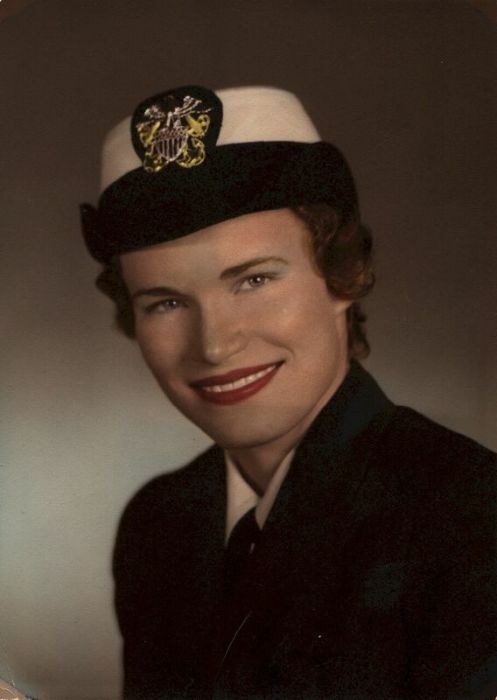 She then joined the Naval Reserve and headed to Officer Indoctrination Training in Newport, Rhode Island. Her love of salad led to a chance meeting with a handsome Navy officer from New York, Robert. The two officers hit if off and married. Carol rose to the rank of Lieutenant Junior Grade before leaving the Navy to raise a family with Bob. Carol and Bob raised 6 children in Pennsylvania, New Jersey, California, Florida and Virginia. Along the way Carol found time to complete a Masters in Nursing at Rutgers University. She cheered Rutgers’ Scarlet Knights on, despite a hostile crowd, in Memorial Stadium in Lincoln, NE. Carol was never one to follow the crowd and was passionate in her opinions. Carol’s favorite accessory was her cell phone. The cell phone replaced the memorial phone booth in Southern Shores, NC and all the other phone booths where Carol conducted business on the go. Bob never did figure out a good insurance policy to mitigate the various ways her cell phone met a watery demise: everything from hot tubs to sweat. Carol was generous to a fault and happy to help. Maybe that’s why her varied careers: nursing, realtor, rehabilitation counselor centered on helping people. She was always balancing career and family in creative ways. Often, co-workers blended into the Walsh Clan. Mom’s favorite place was the beach. She and Bob may have debated ocean front versus bay side every year, but Carol never wavered---ocean front was the place to be. What started at the Holiday Inn at Norfolk while Bob attended his Naval reserve duty grew into an annual adventure. One house became three and four as the Walsh kids married and produced Carol’s favorite people, grandchildren. Carol and Bob could be found near family…wherever that family was…Australia to Nebraska; Alabama to Canada and everywhere in between. She enjoyed seeing the grandchildren at play, at baseball, at dance recitals and when she could manage it on video chats. Carol enjoyed her role as ambassador-at-large the last few years. Traveling to visit family and friends for special events…weddings, wrestling tournaments, Christmas, Thanksgiving, dance recitals...Carol enjoyed the time with her family and friends. Carol was a force of nature. She lived life to the fullest. She will be missed by family and friends alike. In lieu of flowers, memorial contributions may be made to the Arthritis Foundation at www.arthritis.org .